I really wasn’t expecting to get so much plying done! 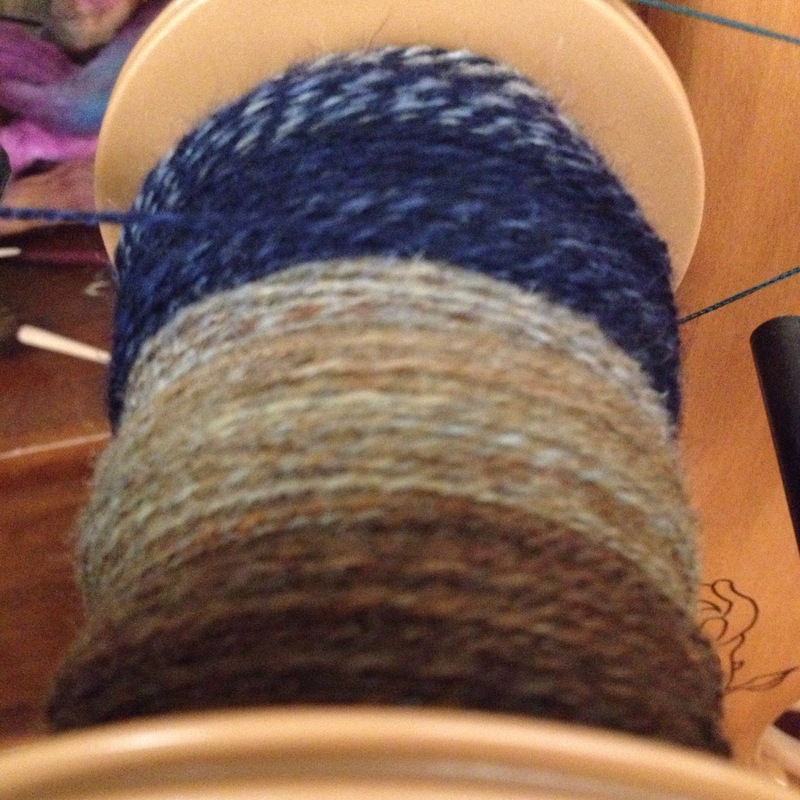 But, I immediately got started on the dyeabolical BFL I had finished the singles of. It ended up growing quite warm and muggy yesterday and Mr. Ink and I didn’t end up going on a bike ride after all. This gave me extra time for netflix and plying. I stayed up quite late in an attempt to finish this yarn, but in the end I just didn’t have enough time and I gave up. Maybe I’ll get the opportunity tonight. We did manage to take a motorbike ride though. 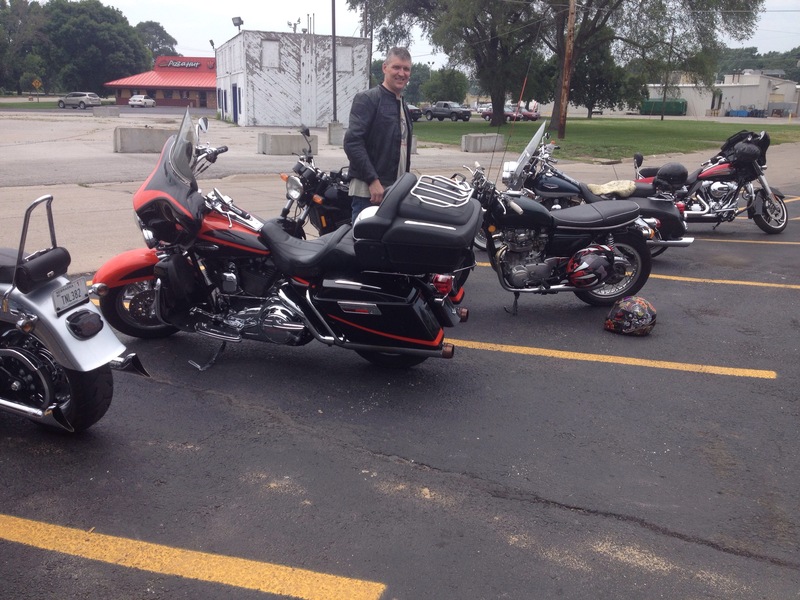 We rode into Iowa, enjoying some comfortable and pleasant back roads. 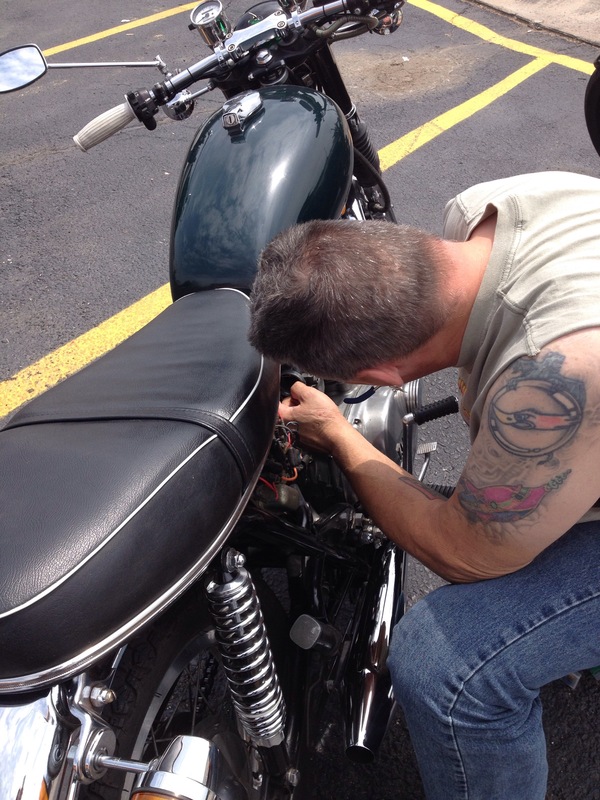 I rode Mr. Ink’s bike out there, a ride I have come to prefer more than riding my own bike. Once we arrived, however, we discovered it had a fuel leak. Thankfully, Mr. Ink was able to fix it right in the parking lot. It took a bit of time and frustration, but he managed. As you can see, the parking space next to us is clear, as was all the spaces near us. We were the only bikes there. But after, we were surrounded. I guess it really was a good day for a ride! I got to test out my new helmet, a fancy Speed and Strength SS1500. It has a fabulous sun visor built into the helmet, eliminating my need to carry around my sun glasses or fuss with trying to figure out where to put them once the sun goes down. And, paired with that, I got to use my silver triumph jacket which fits beautifully. I’ve had both these items since the early June and this was the first opportunity I had to actually USE them. I did pull out another bump of fiber to bring in to work. It’s a 40% camel, 40% merino, 20% silk blend. I am intending to make it into a 3 ply yarn, as those really are my favorite. 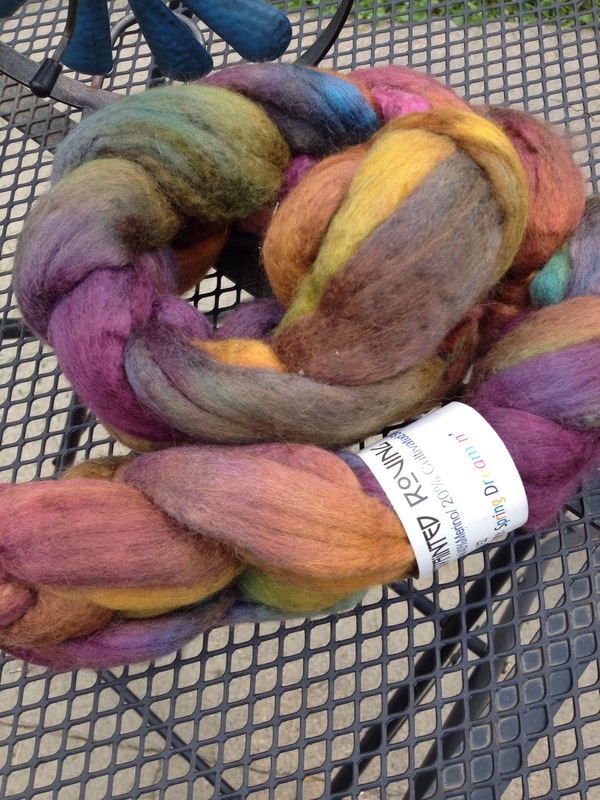 I’ve spun pure camel before, and I know it proves to be a bit of a challenge. I had hoped the addition of the silk and the merino would help that slog. Unfortunately, I was incorrect. It’s still a slog, and progress will be slow. And I’ve got an entire 6oz. of it! Happy TdF participating friends, I am enjoying watching everyone’s progress!